Install and configure GoToMyQB by running the installation wizard and following instructions. 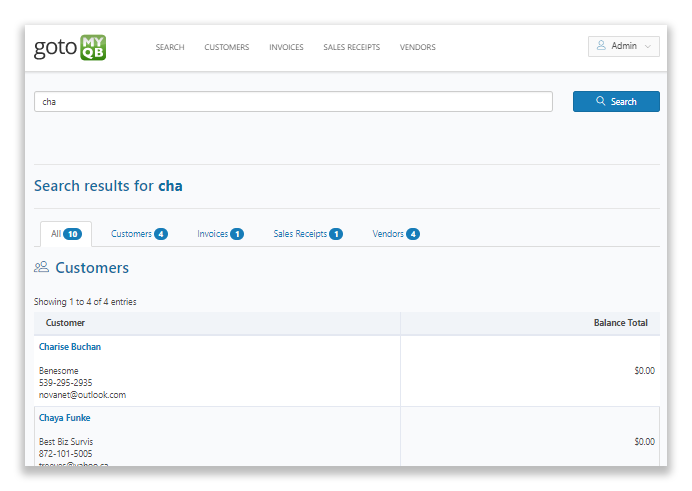 GoToMyQB will install the search page and synchronize with your company's QuickBooks file. 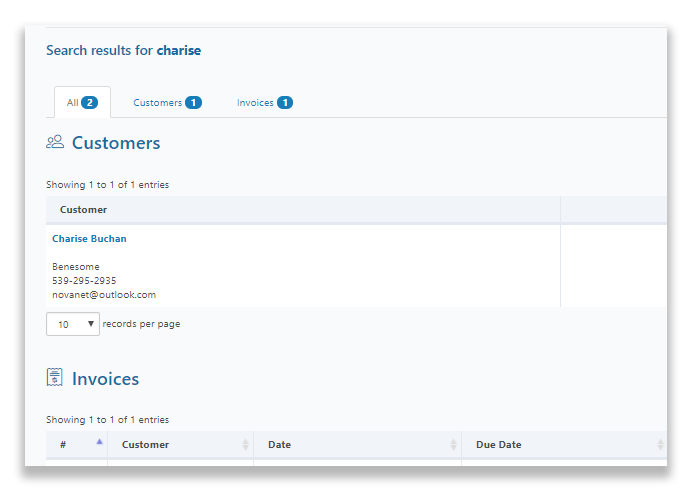 Search QuickBooks Customers, Invoices, Sales Receipts and Vendors from one easy-to-use search page. There is no need to open different screens to access different QuickBooks areas. GoToMyQB can be accessed via browser from any device. Valuable information is available on-demand whether you are at your desk, in a meeting, or at a customer site. No bank account, financial data, human resource, or other sensitive data is exposed in the search page. The QuickBooks search data and QuickBooks database remain on the QuickBooks machine. 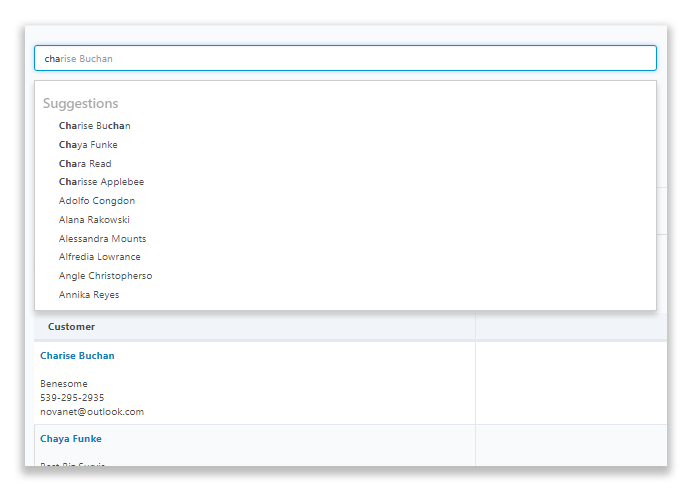 Once GoToMyQB is installed, anyone you invite can search for information in QuickBooks by accessing a Web page. No more wading through QuickBooks screens to find information. Download and install GoToMyQB free for a single user. The Single User Edition can be used by a single user for an unlimited time. Perfect to see how it works in your environment. 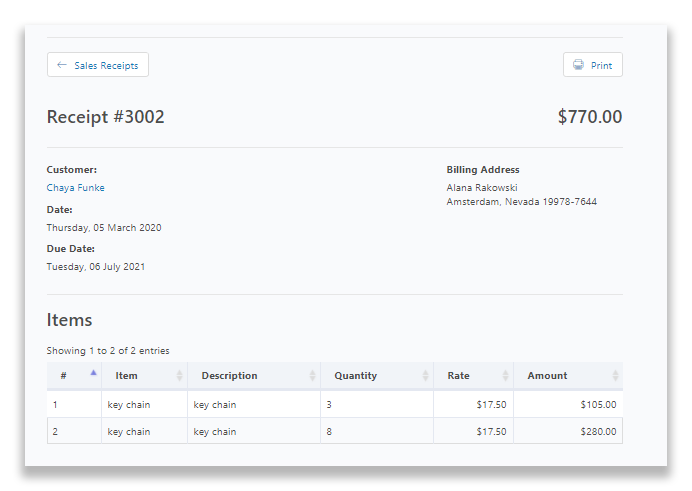 GoToMyQB uses a simple search page to access your QuickBooks information. Enter your search term and GoToMyQB will do the rest. Search for words or phrases and browse results. GoToMyQB will automatically suggest results as you type. GoToMyQB searches QuickBooks Customers, Invoices, Sales Receipts, and Vendors and displays categorized results. Each category’s results are formatted to show the best possible preview. Search results give you a summary, but full details are one click away.